“Sam Ennis was an excellent choice as my realtor for a very difficult sale. I had an older mobile home which needed to be sold at a good price. Though it may sound easy to sell a nearly 2k sq ft single level home in a great location for around $80k, selling a mobile home proved to be both time consuming and a lot of work. Through the entire process Sam worked well and hard with me through all the ups and downs until the right offer (#4) came along. He kept me in the loop every step of the way even when I was often away and only reachable by phone and email. I never felt pressured, was always in control of the decision making process, and could effectively explore possibilities with him. He was easy to reach and quick to respond. All that for the sale of a property of far less value than most of his listings. “We were extremely fortunate to work with Samuel Ennis. We would strongly recommend his services to potential homebuyers. Samuel demonstrated professionalism through the entire process of our home purchase. He educated and informed us with regard to the “next steps” to take. It was very reassuring to know we were working with a knowledgeable and experienced realtor. As we worked with Samuel we came to understand that we were working with a realtor with integrity and a focus on an ethical approach to advising and assisting us with the purchase of our home. Samuel arranged for home tours based on our priorities. We felt that, by the end of this process, we had the home comparisons we required to make sure we were purchasing the home we truly wanted. Samuel’s negotiation skills were imperative in our home purchase transaction. We always had the feeling that Samuel was truly working for us and “went to bat” for us on every condition of our home purchase. 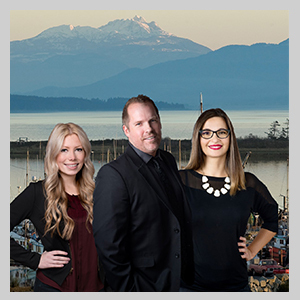 Most importantly, given we were purchasing our home in Comox from Alberta, Samuel’s timely and clear communication with us via emails and phone calls was critical to the satisfactory and successful purchase of our home. Samuel responded to each and every email and phone call (and there were many! ), always keeping us in the loop and, at times, patiently repeating the answers to our questions. Samuel went the extra mile in arranging for our home inspection. He followed up with meeting with the inspector to bring forward our areas of concern for investigation and to ask questions on our behalf when we could not be there. He also made arrangements with local trades people to follow up when questions arose from the inspection report.